Purchasing an extended warranty for your car is the single most expensive aftermarket product sold to car shoppers. For 2 decades our consumer advocate team here at CarBuyingTips.com has been providing you with guidance and education on smart purchasing of extended car warranties. There are several factors that all work together to determine your extended car warranty cost, some of these costs are under your control, some of them are fixed and are not under your control. We will show you how to take advantage of the factors that you do control to make sure that you pay the least amount of money when you do purchase an extended warranty. 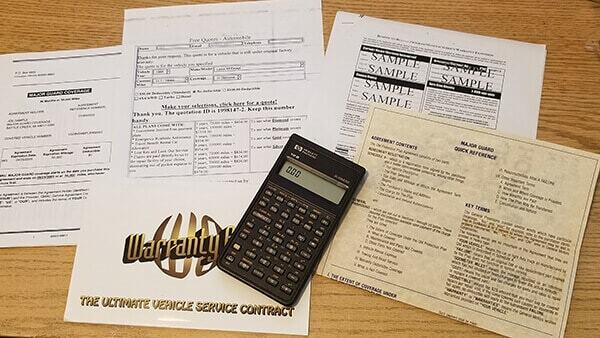 Be sure you also read our main guide on How to Buy an Extended Car Warranty and Avoid Scams. The sale of extended warranties is often filled with empty salesmanship and sometimes even outright fraud on the part of car salespeople. But we help you navigate these murky waters of shopping for an extended warranty so that when you buy one you can rest assured that you bought the correct product for your car, at the lowest possible price. For legal reasons under federal law, extended car warranties are called vehicle service contracts, where the warranty administrator agrees to pay for certain covered repairs to your vehicle when you have a failure that is covered by their vehicle service contract. Some people feel warranties are useless, or that they never pay claims. Our consumer advocate team has helped thousands of consumers over the decades and we have seen many car shoppers be their own worst enemy, shooting themselves in the foot by purchasing the incorrect level of extended car warranty for their vehicle. Then these same uneducated buyers who won't admit they made a mistake get angry when they are denied coverage for their submitted claim and start talking others out of buying a warranty. You are looking to purchase a Toyota extended warranty for your Camry, but you are totally lost as to how much you should be paying and whether you will get ripped off at the car dealer. While you shop for your best extended car warranty for your Toyota, remember that warranties are one of the most highly marked up options sold at car dealers, who bring nothing to the table for you, they're just acting as middlemen between you and the warranty company. Car dealers often charge you $3,000 or more for a diluted down extended warranty package that might only be worth $1,500 had you bought it directly from the third-party car warranty company. For over 20 years our consumer advocate team here at CarBuyingTips.com has tried to steer you clear of danger, and toward reputable extended car warranty companies to avoid overpaying for your extended auto warranty at the car dealer. You'll be amazed at the shocking level of gouging which car dealers employ to overcharge you to line their pockets with additional profit. Do you want proof of the staggering level of overcharging? Just read our Guide to Closing the Deal in the business office to see our listing of how much car dealers overcharge you for all the aftermarket options, like $300 for Scotchgard fabric protection, which a can is available at Walmart for $5. They also like to charge you $400 for VIN# etching on the windows which car dealers love to add to their cars, but the 15-minute install kit purchased online costs $50 at most for 5 windows. In addition to overcharging you for extended car warranties, we have been reporting over the years how car dealers have come up with numerous new ways to charge you for multiple useless fees. Just read our Glossary of New Car Dealer Fees to see all the different tricks and invented fees car dealers have up their sleeves to overcharge you for fees representing no product, no additional intrinsic value, giving you nothing in return. If Dr. Seuss had written a book on this subject, he could have called it "Oh, the fees you will pay". You must show endurance buying a car warranty, and patience to perform due diligence to help you utilize the scenarios above that you do have control over to make sure that you pay the least amount of money when you purchase that Audi extended warranty. Below is our analysis of each of the 9 scenarios above to save you money. Because of the large markups charged at car dealerships for extended warranties, this is one area where you don't really have much control over the extended warranty cost. Therefore, your best chance for saving money is to deal directly with third-party reputable extended car warranty companies. Online direct to consumer warranty companies such as CARCHEX sell extended auto warranties directly to consumers at prices far less than car dealers. You might also be surprised to learn that many of the same commissioned warranties sold by car dealers and available only through car dealer networks are also sold directly to consumers through another division of the same extended auto warranty company and repackaged under another name. In other words, some warranty companies have a retail division and a consumer division selling and managing the same product. Often the administrator can be the same entity administering both warranty plans, and both the car dealers and car shoppers are unaware. The best-extended car warranty that we recommend you should buy is one that has what we call exclusionary coverage, and most important of all it must have coverage for wear and tear. This exclusionary coverage means that they don't play games with what breakdowns are covered and what is not covered on your car. There is simply a small list of exclusions that if your repair does not fall on that small warranty coverage exclusions list, your repair will be covered. Everything on your car is covered except for the short list of excluded parts. These bumper to bumper exclusionary plans are typically the top plans sold by the warranty company you are dealing with. For example, with CARCHEX their top tiered Titanium Level programs give you the highest level of coverage available for an extended car warranty. We cannot stress enough the importance of making sure your warranty comes with wear and tear coverage mentioned above, otherwise even if you had an exclusionary coverage package you would only have about half the coverage you need. One of the biggest complaints we have heard from consumers over the decades is that most of their claims are labeled as wear and tear by the administrator, and so their claim submission was rejected by the warranty company. Often car salespeople might try to sell you on the fact that their extended warranty has bumper to bumper coverage, but many of them misuse and abuse this terminology to trick you into thinking you have magic umbrella coverage that covers every part in your car. But later, you find out the hard way after filing a claim, that many of your claims are being denied because they were on a list of exclusions even though you were told you had bumper to bumper coverage. Be sure to always check the contract first before you buy, car dealers don't like to show you the actual contract for the warranty which they expect you to shell out a lot of money for. The more questions you ask, the more likely you are to say no. It is your right to see the contract, and if they give you a phony excuse why you can't see the contract right now, then walk out, you are not buying from that car dealer today. They like to lie to you and tell you that the contract will arrive in the mail with the policy paperwork. That is a lie and it's not good enough, you need to see the contract today. The reputable third-party extended car warranty companies usually have the PDF file of the contract for you to view right on the web site next to the program description, along with the sample welcome letter, and the instructions. This scenario is another one in which you can save potentially the most money because your car is brand new and has no defects yet and most failures are covered by the manufacturer of your vehicle in the first 4 years so the extended car warranty company would not have to pay any claims for 4 years. Many car salespeople like to put the pressure on you to buy your Honda extended warranty now the day you're buying your car and they often will lie to you saying if you don't buy it today you can't buy it at all. They love to make up some fake excuse as to why it would be impossible for you to buy it if you came back later. Also, keep in mind if you have bad credit another sales scam that car dealers like to use against you is they lie to you and tell you the lender requires you to buy an extended warranty in order to qualify for the loan. This, of course, is a violation of the Truth in Lending Act but most people with bad credit have no clue about this law, and this should be another justification for you to purchase your new car extended warranty directly from an online car warranty company. When your car is brand new that's when the extended car warranty costs are likely to be lower. Many consumers might not have the money to buy a warranty when they buy their new car or they don't want to finance an extended warranty into their car loan, so many rationalize that they will just buy it later when the regular warranty expires. This is a dangerous trap you can fall into and there are 2 reasons for you not to let this continue. Trap to avoid: First, do not milk this situation and wait for too long to buy your extended warranty because the older your car gets the more likely you are to pay for your extended warranty. Also, as the original warranty on your car approaches the end of its 4 years and is about to expire that's when the extended warranty costs start to really increase in price. This is a very critical deadline, but you don't want to brush up against this expiration date too closely so the sooner you can buy a warranty make it happen. Just think of the sands of an hourglass as time goes by the extended car warranty cost gets increases higher and higher. The second reason that you want to avoid any delay of game here is that warranty companies typically have one or 2 price increases each year and so you don't want to be caught up in several cycles of price increases when you could have bought it at the lower extended car warranty cost earlier. Here is another bonus reason for you to not wait too long: supposing your car model turns out to be one of those vehicles that develop known repair issues, service bulletins and recalls, suddenly all of the insurance actuaries and extended warranty company actuaries decide this is a risky car and they jack up the extended car warranty cost into the stratosphere. Now you are in a real bind because you missed out on buying it at a lower price earlier and now its way out of your price range. Price increases from extended warranty companies are unpredictable so we never know when it is going to come, we only know the best way to avoid it if you're going to buy an extended warranty for your car is to buy your warranty as soon as you possibly can. In this scenario, you have a used car whose warranty has already expired but yet you still want to buy an extended warranty for your vehicle. You will pay the most amount of money because the extended auto warranty companies know that all the risk is on them now. They are potentially open to paying 100% of the repairs on your car. Trap to avoid: because your extended car warranty cost is going to be higher at this time with a pending expiration date, many buyers will skimp and buy the most diluted down powertrain warranty packages or wrap coverages with the least amount of covered parts. This trap of choosing limited named-component coverage which ensnares many buyers will cause you to be stuck with many repairs on your car that are not covered due to wear and tear reasons. Most extended warranty companies offer lower grade highly diluted warranty packages to make the price more palatable to consumers, but they leave out quite a bit of coverage. One of the most common exclusions in coverage on these watered-down plans is the critical "wear and tear" coverage. We have been warning our CarBuyingTips.com visitors for 2 decades about this little-known dilemma. This slap in the face will be your discovery that when the manufacturer's warranty on your car expires virtually every repair will be classified as a “wear and tear" repair which will be denied under the vehicle service contract. You can relax if you purchased one of the higher model exclusionary bumper to bumper auto warranty plans because the better yet more expensive contracts will include wear and tear coverage. This extra coverage clause is an important distinction between the two types of extended warranty products. Also, a scam which car buyers use all the time is they buy a used car with known failures thinking they'll just buy an extended warranty and it will cover the repairs. But warranty companies are onto this scam, and many allow no claims in the first 30-60 days as part of the validation period. Other companies will pop up a red flag if you buy a car with pre-existing conditions and try to file a claim for it. For most extended warranty companies like CARCHEX, the validation period is 30 days or 1,000 miles and is printed on your declaration page when your vehicle service contract paperwork arrives. You can't file any claims during this validation period. This is another reason to buy your warranty as soon as you buy your used car because we advise consumers to be more conservative and assume a 90-day waiting period before submitting any warranty claims to avoid tripping red flags. So, start that 90-day countdown now, the day you buy your used car. People buying a used car might have breakdowns within a few months of ownership so you need to make sure you have your coverage intact when you incur a breakdown, and that you have completed our recommended 90-day validation period, and satisfied the warranty company waiting period. Before you head out to buy an extended warranty the first thing you need to do is get ahold of the contract and go to the section that says what is not covered and determine if this warranty will give you wear and tear coverage. This is one of the single most important bits of information we give to consumers. If you are caught in this scenario the car extended warranty cost is not your issue. Your issue is finding an extended warranty company willing to put any coverage on your car at all. Common vehicles that we see extended warranty companies refusing to cover include any of the Mercedes AMG series because they're just so expensive. The repair costs can be brutal on AMG models. In some cases, they may have to send the engine back to Germany to be repaired by the engineer who built it. We have also seen most of the warranty companies in the past refuse to cover recreational vehicles and Land Rovers due to their frequent and expensive repair costs. With many exotic cars and other similar expensive vehicles, your only hope of obtaining a warranty is to try the manufacturer to see if they offer any type of extended warranty. In this scenario, we recommend you try the forums for your vehicle and ask on the forums what other people have done to get warranty coverage and sometimes you may even find user recommendations for certain dealers who will give a discount. For example, on the Mercedes forum, we found a dealer there who sells the 60-70-80,000-mile maintenance package for hundreds of dollars less than all the other dealers. Your car may have been fine when you first bought it but over the months and years, that model starts to see a high rate of repairs compared to other vehicles. Extended warranty company actuaries pick up on this data and they use that to jack the price up on the warranty because they know they will be shelling out a lot of money to repair your vehicle model. This is not something that you have any control over so there is not a whole lot you can do here other than making sure if you are buying a used car, confirm that you are buying one that has a lot of high reviews from current owners and there are no major known issues with this vehicle. We avoided falling into this trap while purchasing a used Mercedes E Class recently by checking the JD Power database of the most reliable cars which have the lowest rate of repair per hundred vehicles for the previous 36 months. 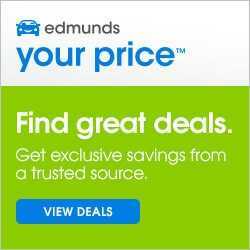 That strategy along with checking reviews and car owner forums can help you narrow down a model that you'll want to consider and avoid a car which would be too expensive to put an extended warranty coverage on. This is another scenario where you have very little control over the auto extended warranty cost, but at least you won't be oblivious to the details, with our advice you will be able to determine whether the dealer is offering you a good warranty product and if that product has a fair price or not. If you buy your extended warranty from the car dealer you are potentially paying the most amount of money possible due to high dealership markups. If you choose to go this route to buy that Audi extended warranty, we highly suggest you get a quote from one of the 3rd party auto extended warranty companies to put in The Folder to compare to the warranty product the car dealer is offering you. You should compare everything in both contracts particularly what is not covered, and don't listen to any verbal promises the dealer makes. The only thing that matters is what is contained in writing in your vehicle service contract so compare apples to apples and determine which is the better deal. The only real control you have over the price in this scenario is you can turn around and walk out the door showing them your heels and avoid overpaying for a warranty. In order to make warranties more affordable for people, the warranty companies will offer you different levels of coverage from the ridiculously watered-down packages at the low end to the full coverage exclusionary bumper to bumper extended warranty coverage at the high end. Typically, the lower end "named component" extended car warranty packages offer coverage of major components of your car, for example, the engine and the transmission. This is called a powertrain warranty and that is all it covers at that lower price. These named component warranty contracts are the exact opposite of the exclusionary bumper to bumper contracts because they itemize a short list of components that are covered, whereas the much better exclusionary contracts itemize the short list components that are not covered. You can picture the huge difference in coverage between these 2 types of plans and why we so strongly recommend that you buy the extended warranty plans with the exclusionary type of coverage. Can you imagine buying your teenage daughter a used Hyundai, and sending your teenage daughter off to college and you want to cover her vehicle with a Hyundai warranty? But you don't want her to worry about falling through any loopholes in the vehicle service contract. Powertrain warranties do not cover any of your computer modules and typically do not cover the more expensive $500 oxygen sensors and other emissions parts which are common failures with aging vehicles. Based on our research of the thousands of people we helped when the check engine light goes on, quite often it is an O2 sensor or some other emissions-related engine part that needs to be replaced. We recommend you go with a $0 deductible when you purchase your extended warranty. Most deductibles are $100 per visit. Although a $0 deductible vehicle service contract costs more, and we are trying to save you money, this option is worth it and means you won't have to shell out any more money at the time of the repair when you might be broke. Some warranties are very sneaky with their contract verbiage and will charge you a separate $100 deductible for every repair, including per visit. This means you have 4 different covered repairs today on your car so they will charge you a separate $100 deductible for each of the 4 repairs, totaling $400. By purchasing a warranty zero deductibles, this becomes a non-issue for you. These concepts covered here are important to keep in mind and should help you navigate much more clearly. Contact Us with any questions you have about buying a warranty.